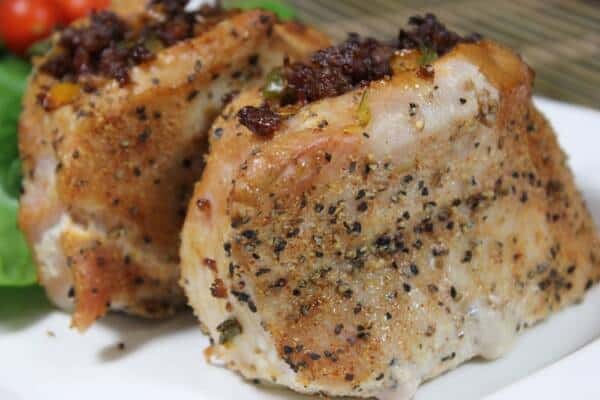 Thick juicy smoked pork chops stuffed with a mixture of sausage, peppers and onions are delicious beyond words and you'll want to try these on your family and friends very soon. 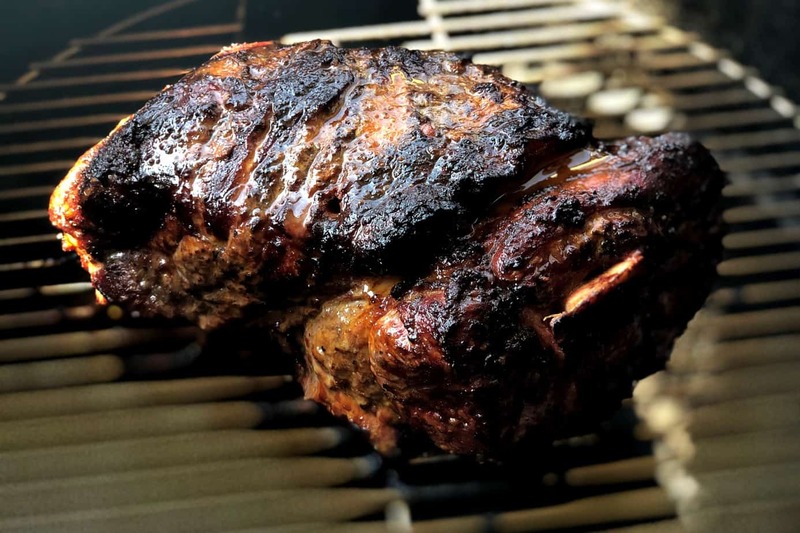 As many of you have discovered, the Texas style rub is very tasty and useful when you want a highly flavorful rub that is savory but not sweet. 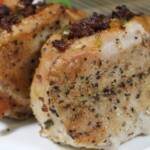 You can also use my original rub in this recipe with excellent results. 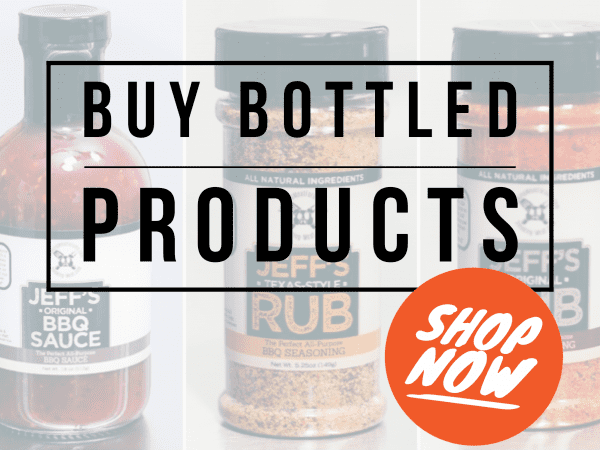 The Texas style rub comes free when you purchase the original rub recipe. 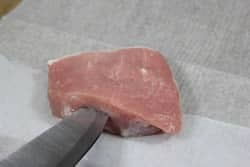 Use a sharp knife to cut a pocket in the pork chop. Once the pockets are cut, it is time to brine the meat. Put the cold water into a pitcher. Add the salt and stir until the salt is dissolved into the water. The brine is now ready to use. Place the chops into a container. Pour the brine into the container until the meat is completely covered. 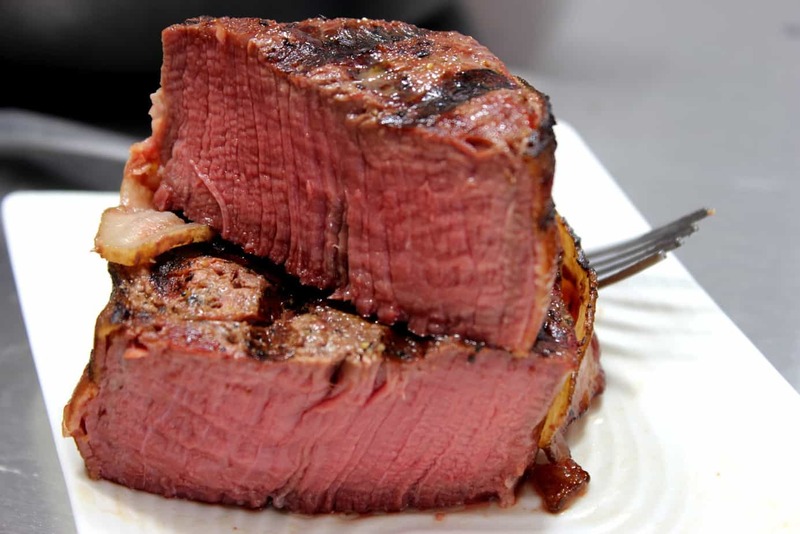 Put a lid or plastic wrap on the container and place the meat in the fridge for about 2 hours. When the meat is finished brining, rinse well under cold water to remove any excess salt. 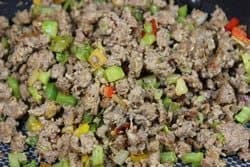 While the meat is brining, go ahead and prepare the stuffing mixture of sausage, onions, celery and peppers. Because the heat is so low when smoking, we have to make sure that the vegetables are slightly soft and the sausage is browned before the smoking process begins. Put a TBS of olive or vegetable oil along with the onions, celery and peppers into a large skillet over medium heat. Cook for about 3-4 minutes then remove the vegetables into a small bowl. Place the sausage into the same skillet and cook until it is just starting to turn brown. Add the vegetables back into the mixture and continue cooking for a couple of minutes before removing the mixture from the heat. Let the stuffing mixture cool before using. 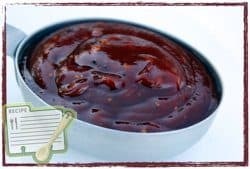 I recommend adding some of my Texas style rub recipe (purchase recipes here) into the pockets of the pork chops as well as on the outside for great flavor. 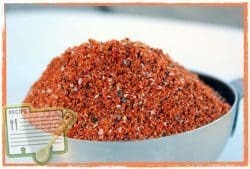 Note: My rubs do not have a lot of salt and for this reason, you can get a lot of flavor without worrying about over-salting the food. 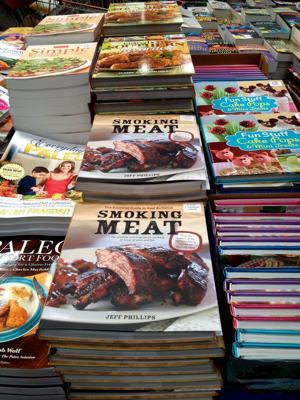 If you'd rather use my original rub recipe (purchase recipes here), that will also work really well. Set the pork chops up with the pocket facing upward. Spoon stuffing mixture into the pocket and press it in with your fingers to make sure you are completely filling the void. Leave the pork chops in this configuration during smoking for best results. 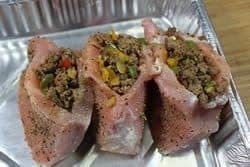 Note: They need to sit up so the stuffing does not fall out during the cooking process but try to leave a little space between the sides, as I did in the picture above, to allow the smoke and heat to maneuver around them. 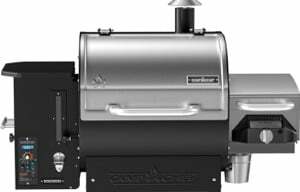 Set up your smoker for cooking at about 225-240°F using pecan smoking wood or whatever smoking wood you have available. 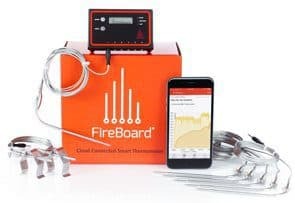 Per the USDA, pork is safe and ready to eat at 145°F so you will want to use a digital probe meat thermometer such as the Maverick ET-733 to monitor the temperature of one of the chops while it is in the smoker. 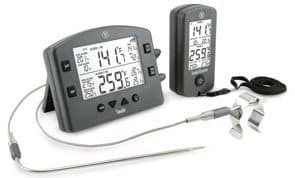 This type of thermometers allows you to know the temperature of the meat without having to open the door of the smoker. 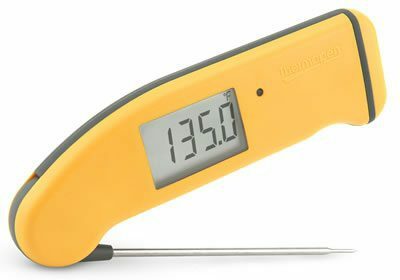 Note: you can also use a thermapen to check the temperature once the pork chops get close to being done. The new Mk4 reads in about 3 seconds or less and I always keep mine close by anytime I am cooking. 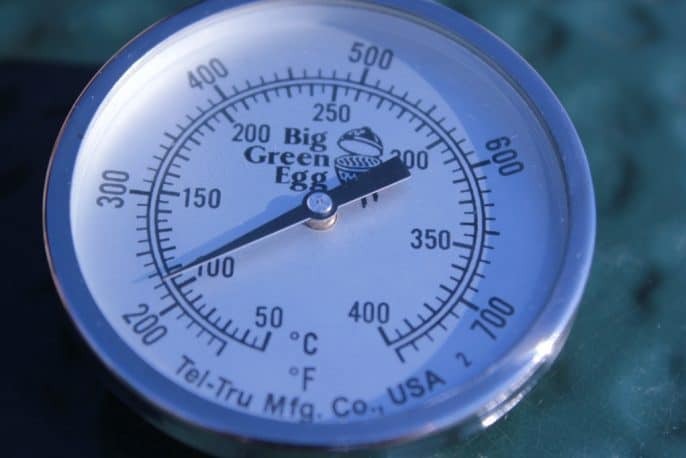 When the pork reaches 145°F, remove them from the smoker. Serve immediately with a nice salad or other sides. 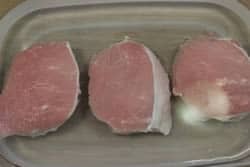 Rinse pork chops under cold water. 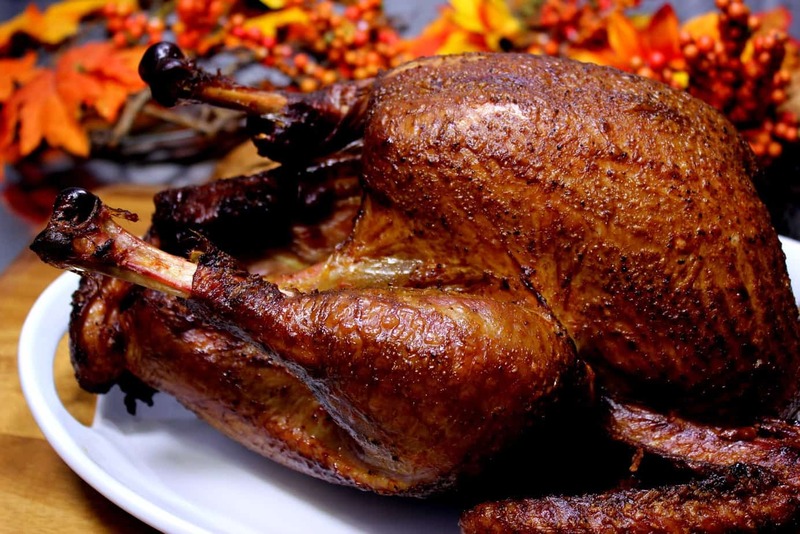 Make a brine solution using ½ gallon of cold water and ½ cup of coarse kosher salt. Mix the water and salt together until the salt is dissolved. 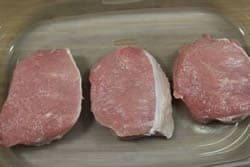 Place the pork chops in a lidded container. Pour the brine solution over the chops until they are covered. Cover with a lid or plastic wrap and place in the fridge. Brine for about 2 hours. Remove from brine and rinse to remove any extra salt. Sauté about a 1/3 cup mixture of celery, onions and bell peppers with 1 TBS of cooking oil. 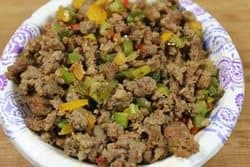 Remove vegetables and brown 1 lb of breakfast sausage in the same pan. Add the vegetables to the sausage to combine and remove from heat to cool. 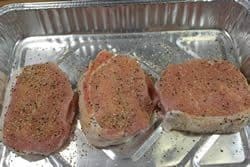 Season pork chops with Jeff's Texas style rub recipe inside the pocket and on the outside. Stuff the chops with the sausage mixture. 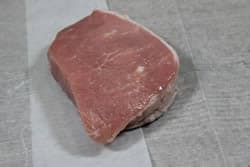 Leave the pork chops sitting pocket side up leaning against the side of a foil pan. Place the pan of pork chops on the smoker grate. 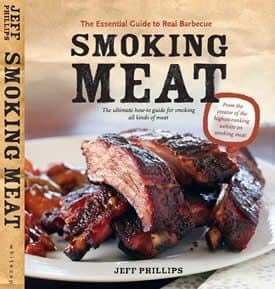 Smoke cook the meat for about 2 hours or until they reach 145°F in the thickest part. Newbie to smoking. 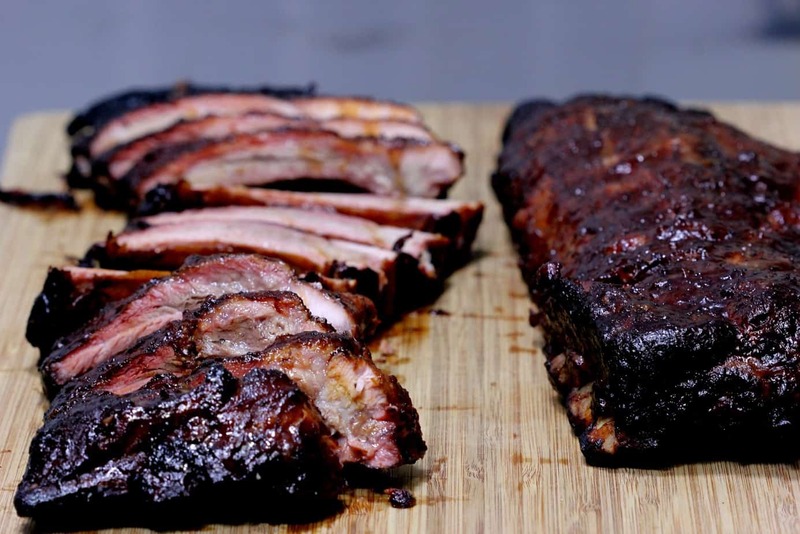 Did three racks of Baby Backs last week, which were good, but not fall-off-the-bone though in my 30″ Masterbuilt. Up next, I’m trying these Sausage Stuffed Smoked Pork Chops. I’ll keep my fingers crossed. 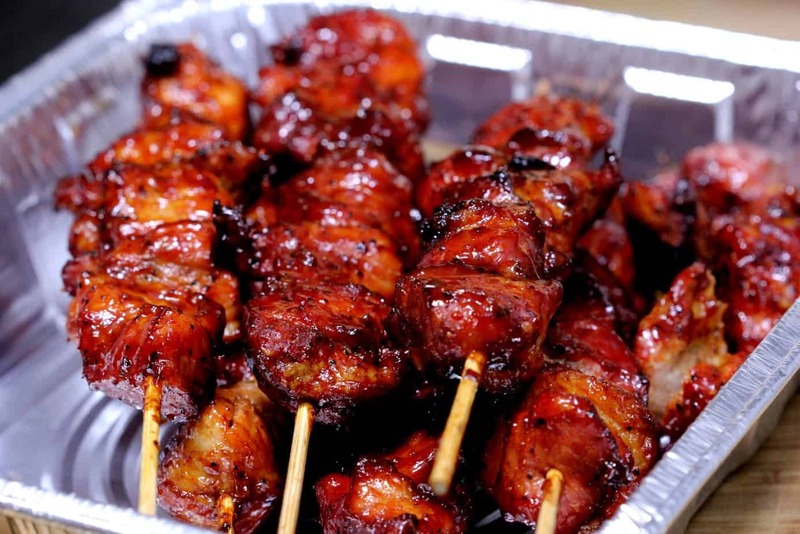 These are the greatest chops ever. My mother in law even said nice things about them. The chops are in the smoker. I did put a little twist on mine just because I love cheese. I added cream cheese to the sausage with green peppers but before your recipe was sent to me in my inbox I had never thought of stuffing pork chops so I will get back to you on how they turn out and thanks for a great site. Follow up post. The pork chops turned out great. This was the first time I ever brined pork chops and it really makes a difference. Great recipe. I have made these twice in the last month. Great recipe. My family and the neighbors loved it. It is even great as leftovers. Thanks for the recipe and keep the new ones coming! Made these last weekend. Mother in law said they were restaurant quality. Thanks for a great recipe and good tips. Love the Texas rub. I think it would be important to note that the temp should be checked in both the meat and the stuffing. If the stuffing isn’t up to temp, as well, it could present a real danger. 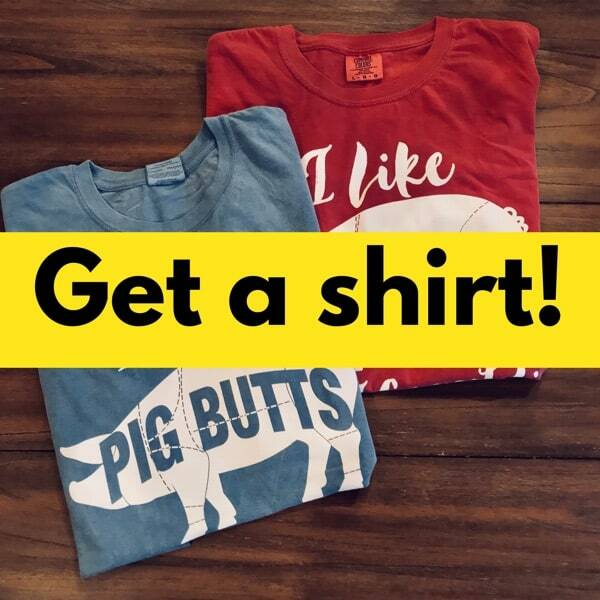 Mine were about ¾ inch thick which is pretty standard for the pre-cut ones I see here in my area. 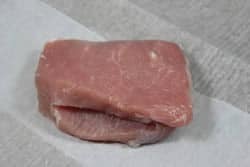 You could also purchase a boneless pork loin and cut your own if you wanted to.